Looking to make major purchase, go on a holiday or perhaps to consolidate your existing debts into one simple regular repayment? When comparing personal loans, there are other important things to consider and understand, other than just the lender’s interest rates. *The offers compared on this page are chosen from a range of products BestFind.com.au has access to track details from and is not representative of all the products available in the market. Products are displayed in no particular order or ranking. The use of terms ‘Best’ and ‘Top’ are not product ratings and are subject to our disclaimer. You should consider seeking independent financial advice and consider your own personal financial circumstances when comparing products. Finding the best personal loan for your specific borrowing needs involves comparing more than just interest rates. This short guide covers the things worth thinking about when you’re choosing between products. Ideally, it will help you find the best personal loan so you can finance that holiday, wedding, or whatever your next step might be. First up, though, you’ll need to decide what you’re going to be using the loan funds for. We’ve put together this guide as a quick overview of what you should be considering. Hopefully, this should help you find the best loan for your needs. Variable vs fixed rate personal loans: which are better? This depends on what you need the loan for, so there’s no one right answer. Fixed rate loans stay constant over the life of your personal loan. Your interest payments therefore won’t change as market rates fluctuate. Using a personal loan calculator, you can easily work out how much each repayment will cost in advance. This takes a lot of hassle out of budgeting! A fixed interest, low rate personal loan can be a huge advantage if you find one that suits your needs. Variable rates can change constantly over your loan term. They don’t offer the security or easy budgeting of fixed rate loans. If market rates rise or your loan provider increases them, your repayments will go up too. When market interest rates fall, however, you’ll benefit from lower rates and a smaller instalment when it’s time to repay. Secured or unsecured loans: which offer the best rates? Secured loans require you to use a personal asset as collateral, in case you fail to make repayments. If you do default, your loan provider can sell off your asset to recoup their losses. Secured loans are considered less risky for lenders, which means they sometimes come with better rates. On the downside, they can often involve restrictions on how you can use your borrowed funds. Loan amounts may also be capped at the value of the asset you’re using to guarantee it. In contrast, you won’t need to provide personal assets for unsecured personal loans. These tend not to have limits regarding loan amount, and you’ll generally find they offer more features and flexibility. It’s very much like choosing between fixed and variable rate loans – there’s no one right answer! The best personal loan for you is going to depend greatly on your borrowing needs. For instance, you might find the best personal rates looking at secured car loans if you want to purchase a vehicle. If you need a personal loan for debt consolidation, you probably won’t want to guarantee the loan with an asset. In that case, you may feel an unsecured loan product works better for you. Finding the best interest rate is only part of your search, but don’t worry! 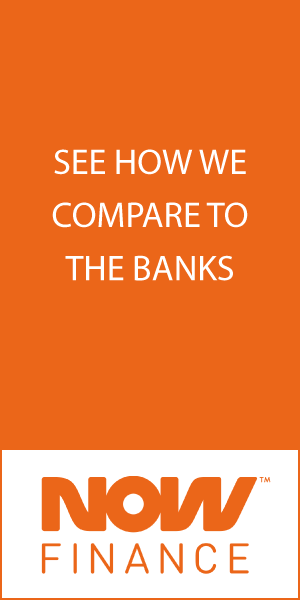 Comparison rates are an effective way to quickly compare personal loans as a whole package. This is because they integrate the other loan features that can hike up the total amount you might be repaying. Exit fees, additional repayment fees, and other penalties are all rolled into one figure so you can compare personal rates more easily. You’ll be able to get an idea of whether a monthly fee makes a low interest personal loan more expensive each month. One thing to note is that comparison rates don’t account for a lot of the additional features that personal loans compete on. As an example, a redraw facility or an app to easily manage your loan may be more valuable to you. As noted, you’ll want to consider different features that might afford you more flexibility or convenience over time. When you’re searching, we recommend you check out the ‘Other fees and information’ option under each product to get an overview of these. We’ve looked at fees and how they can make even a low personal rate less important in the bigger picture. Fees for early repayment, either in full or through additional repayments, can take away some of the flexibility of a loan. If there’s an exit fee for changing providers, as another example, it can detract from even the best personal rate. A redraw facility lets you make additional repayments when you like. It can be handy if you’re hoping to repay your loan early. If you need the money later, you’re free to ‘redraw’ these extra payments. Depending on your personal borrowing needs, a redraw facility can add great value to a loan. In the longer term, it might help you pay off your personal loan earlier. Deposit-free loans are exactly what they sound like. You won’t be required to pay anything up-front, but this doesn’t necessarily mean they’ll offer the best personal loan interest rates. Often, deposit-free loans actually come with higher rates of interest. Low-deposit loans are another available personal loan option with some lenders. With high loan-to-value (LTV) personal loans, your initial payment will be smaller. You’ll find you can take out a larger percentage of the loan amount instead. On the flip side, you’ll be considered relatively high-risk to the lender, so your personal loan rate may be higher. So how can I find the best loan rates? Lenders, like the average investor, are risk-averse. If you’ve got a stellar credit rating, you’re considered lower risk by potential loan providers. As surprising as it sounds, loan providers can extend you credit at better personal rates if you’ve got good or excellent credit history. Unsurprisingly, it’s because good credit standing is frequently a sign that a borrower isn’t going to default or miss repayments. On the other hand, a bad or lower than average credit rating isn’t a reason to panic. Some loan providers do provide loans to people who haven’t got a perfect credit history. If you rarely take out loans and pay your debts like clockwork, you’re also more likely to get your loan applications approved. You’ll be a more attractive, less risky prospect for lenders in general. If you come across a loan provider who offers personalised rates, your great credit history will definitely be an advantage. What are risk-based interest rates? To illustrate, consider two hopeful borrowers with identical borrowing needs. Both are hoping to fund a holiday, so both head to the same lender for a $5,000 loan. Unfortunately for Bob, who has a mountain of credit card debts, he’s offered a 15% rate. Jim, in contrast, has an excellent credit history and he’s offered a better personal loan interest rate of 5%. In short, the lender views Jim as far more likely to stick to his repayment schedule and service the debt completely.